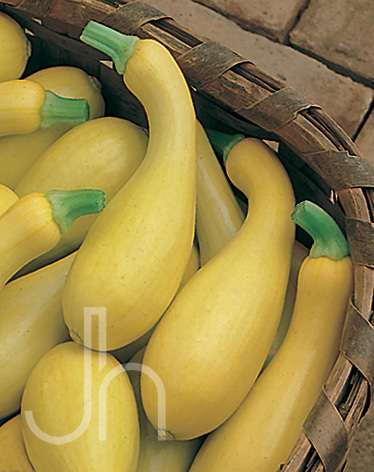 Yellow Crookneck squash grow on bush-type plants. They are prolific and easy to grow. The fruit can get quite large but is more tender and delicious when picked fairly young. Height: Grows 16″ to 20″ tall. Outstanding Features: Squash is very easy to grow and can be harvested all summer as long as you keep it picked to promote further production. Harvest when fruit is about 7 inches long for best flavor. Click here to buy Crook Neck Squash direct from www.buygardenvegetables.com.